Rough times are a part of most peoples’ lives. Many individuals go through setbacks they fear will defeat them. Personally, I have been through so many storms powerful enough to crush me I’ve lost count by now. Yet, I’m still here. So are you. 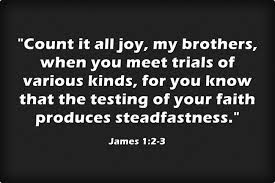 We are still standing, and we are stronger than we were previous to our trials. 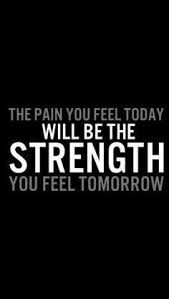 How do hardships make us tougher? 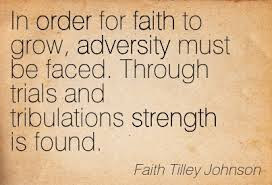 They strengthen our inner core of faith and confidence. While our bodies and minds may seem to be sickly, weak, or confused, we have a reservoir of divine power in our souls. 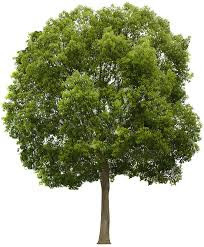 This is a regular hardwood tree. It is the kind of tree that will bend and crack in severe storms. Its roots are not deep enough to survive high winds, and its trunk will not move with the strong winds. 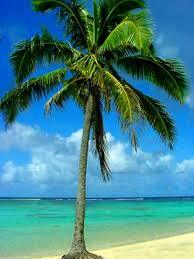 Conversely, the palm tree can survive hurricanes. How does it accomplish this amazing feat? It can bend into an almost horizontal position with the winds. When the storm has passed, the tree will return to its regular height—as if nothing has happened. In addition, tempests strengthen the palm tree’s root system. 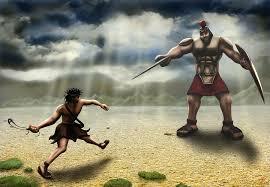 David’s trial, his “Goliath”, promoted him in the end. The poor, small shepherd boy who was disrespected by his own family became king over a united Israel within two decades. He needed to overcome huge trials in order to prepare for his true calling, the monarchy. How have your setbacks set you up for a better life? Nice post Traci. Challenges are part of life, and yes, they make us stronger at the end. Hi, Godfirst. Thanks so much for taking the time to read, and comment on, my post! I appreciate your support! Challenges are a part of life. They are difficult to go through; however, we come out of them improved in many ways.